Search engine Google has launched their Android Skilling Certification Program in India today. Through this programme, Google aims to provide training to more than two million mobile developers in the country within next three years. The new Android Skilling Certification Program will disclose initiatives to educate, skill, and certify millions of developers and students in Android Development. This specially designed Skilling programme on Android focuses on Android fundamentals which are led by an instructor. The course will be available across public and private universities, and training institutes of the NSDC-National Skill Development Corporation of India. The in-person Android training module has been integrated into the course curriculum will also be introduced within this calendar year, at no additional fees. The vision is to help India to become a global hub for high-quality mobile developers from millions of students across schools and universities. The Android fundamentals course will also be available free of charge on NPTEL – National Programme on Technology Enhanced Learning starting July 18, 2016, as part of online Mobile Computing course. 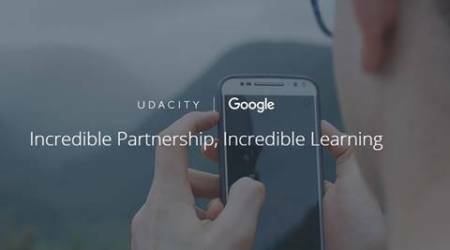 Along with this, Google has also partnered with Edureka, Koenig, Simplilearn, Udacity, Manipal Global and UpGrad, which will operate as an authorised Android training partners in India. Google has introduced a job-oriented Associate Android Developer Certification — a performance-based exam which helps successful candidates to get entry-level Android development jobs in the IT Industry. Post completion of training, aspiring candidates can log-on to Google Developer training website and pay Rs 6,500 to take the Android Skilling Certification Program exam. Speaking at the launch event, Caesar Sengupta, VP, Product Management at Google said, “India is expected to have the largest developer population globally, overtaking the US, by 2018, with four million developers. But today only 25 percent of developers are building for mobile. By building a world-class curriculum and making it easily accessible to millions of students and developers in India, we want to contribute to the Skill India initiative and help make India the global leader in mobile app development”.